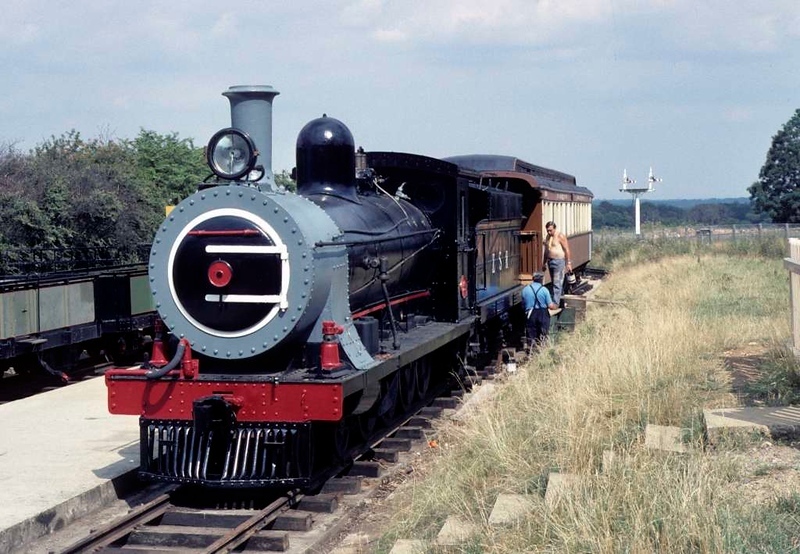 Zambezi Sawmills Railway 4-8-0 No 390, Whipsnade & Umfolosi Railway, 25 July 1976. Built by Sharp Stewart (4150 / 1896) for the 3ft 6in gauge Cape Government Rlys. Repatriated to Whipsnade in 1973 by David Shepherd. It subsequently passed to the National Railway Museum and in 2017 was on display at Shildon. The coach is Rhodesia Railways immigrant sleeping car No 1808, built in 1927 by Metropolitan Carriage & Wagon. In 2014 it was in the Science Museum store at Wroughton. Photo by Les Tindall.